Bowling Green Injury Attorney explains what will happen if a lawsuit is necessary to resolve your accident claim. Most people who are injured in a motor vehicle accident have never been involved in litigation and, therefore, do not know what to expect. 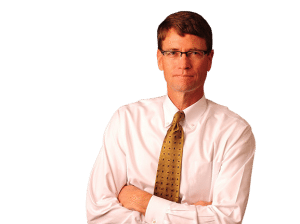 Bowling Green Injury Attorney Matt Troutman, who has been litigating motor vehicle accident cases for over 29 years including cases in Bowling Green, will explain below what the victim of a motor vehicle accident can expect during litigation. Once a lawsuit is filed, the litigation process normally takes approximately one year. In other words, you should reasonably expect to try your case within one year after the lawsuit has been filed. Of course, over 90% of all cases that are filed are settled sometime prior to trial. Once the lawsuit is filed, the parties will go through what is called the “discovery process” and this involves the exchange of written questions seeking information and documents. This process also involves the taking of the depositions of the parties. Depositions are statements taken in front of a court reporter by the opposing counsel and, of course, your attorney will attend on your behalf. Depositions are the one opportunity for the opposing counsel to ask questions of the opposing party and witnesses prior to trial. Your attendance at the deposition will be the first opportunity for you to directly participate in the litigation process. Your direct participation in the litigation process may also include attendance at an independent medical examination, mediation and trial. An independent medical examination is the right of the defense attorney to order you to be examined by a doctor of his or her choosing. This does not happen in most cases, but if it does happen you will be required to present your self for a physical examination and interrogation by a doctor that is supposed to be independent but, in reality, is a hired gun for the defense attorney. A mediation is a settlement conference and it is generally required by most courts today. All the attorneys will agree in the selection of a mediator, who, normally, is an ex-judge and the mediator will preside over the mediation. The mediation usually lasts one-half a day or an entire day and will take place in an attorney’s office. At the mediation, all the parties will meet together in a conference room and the plaintiff’s attorney will give a brief description of the plaintiff’s case and the defense attorney will do the same. Then the parties will break up into different rooms and the mediator will go in between the two rooms and exchange offers and demands until there is a settlement or he determines that the parties cannot reach an agreement. Mediations work in approximately 50% of the cases. If a trial is required, you will attend each day of the trial sitting at counsel table with your attorney. As the plaintiff, you are required to testify first and once your testimony is concluded, you will simply sit at the counsel table until the trial is concluded. Any jury verdict can be appealed by either party and the parties have 30 days from the date that the judgment becomes final to file a notice of appeal. Most cases are not appealed and most cases that are appealed are lost on appeal. The approximate success rate of appeals is between 20 and 25%. An appeal will normally take 1 to 1 ½ years. Once the Court of Appeals rules on the appeal, either party may petition the state Supreme Court to review the opinion from the Court of Appeals. Only approximately 10% of the petitions to the Kentucky Supreme Court are accepted. If it is accepted, then the appeal will last approximately another year. If you are plaintiff and you have a verdict that you like, the appeal process is an undesirable delay. However, the law in Kentucky provides that on appeal your judgment will earn 12% interest until the appeal is concluded. Assuming you prevail in the appeal, the 12% interest is a good return on your investment. 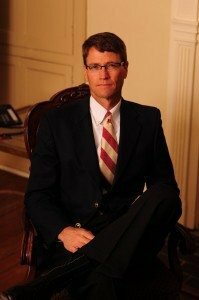 Matt Troutman of the Troutman Law Office is experienced in handling litigation and has done so since 1986. Call Matt directly for a FREE case evaluation or by clicking here.